Active post-retirement as 花陽みく (Hanahi Miku). 2013/11/07: Due to injury, Hanahi Mira was partially absent from Arsene Lupin for the Grand Theater run. Harune Aki took her place in scene 2 and Tsuzuki Mia covered her part in scene 9. She was absent from all of Fantastic Energy! 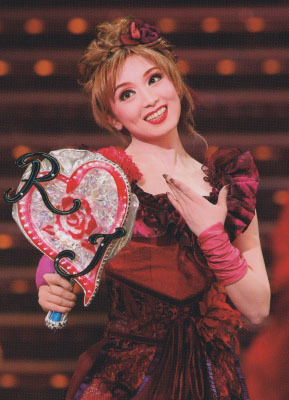 2013/02/08: Hanahi Mira returned to the Grand Theater run of Arsene Lupin. Created by caithion. Last Modification: Friday 01 of March, 2019 08:49:13 PST by lokai.